The founder and first Chairman of Tiya Properties, Dato’ Farookh was a leading Pakistani businessman and former Honorary Consul General of Malaysia in Karachi. His 34 years’ business experience in Malaysia, Pakistan, the United States and South Asian countries contributed greatly to the success of Tiya Properties, as he formulated the missions and strategies to attain the initial objectives and visions of the company. An internationally respected captain of industry, controlling family companies involved in Security Management and Consultancy, Agro Produce Exporting and Air Cargo, Dato’ Farookh was a key figure in developing strong business links between Malaysia and Pakistan. Highly regarded by both the Malaysian and Pakistani Governments, he was in 1996 awarded the D.P.M.P., which carries the title Dato’, by the Sultan of Perak for his contributions to this region. 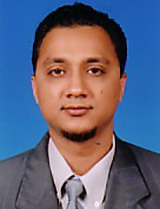 Mr Rizvi, aged 34, holds a BSc (Finance) from Bentley College (US) and is the son of our late founding Chairman. 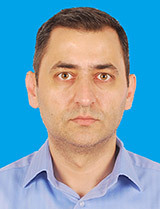 He has been involved in international trading of goods and commodities in Pakistan and Malaysia. In addition, Mr Rizvi is also involved in various industries such as air cargo, security management and consultancy and was the key figure and driving force behind expanding the family business to the Southeast Asia region, under his late father’s guidance. Mrs Rizvi, holds a Degree in Business Administration from the University of Karachi. She has extensive experience in the emerging media sector, working in content development, provision and management of global websites focusing on news, entertainment, business and current affairs. She has participated in major international assignments involving health education, global forums, charitable activities and entertainment. In addition to her multimedia skills, Mrs Rizvi also has extensive international experience in sales and marketing, dealing with business principals as well as consumers and handling a broad portfolio of customer services. She joined the company as Director on 4th January 2007. Encik Abdul Rahim Bin Gulzar Mohamad is a director of Tiya Group of Companies. Through his experience in his earlier engagements, he learnt to manage the financial aspects of estate and construction projects. His earlier experience has seen him identifying new business opportunities. A seasoned and successful leader with a track record of producing, presenting and managing the implementation of innovative business solutions. His core business is divided into three; Property Development, Construction and Services.